The SHP-1 is an indispensible tool that enables you to cope with your everyday studio work with perfection. A special characteristic of the SHP-1 is its neutral sound reproduction which is essential for studio applications. The SHP-1 reproduces a detailed frequency spectrum which allows wiping out interfering frequencies at an early stage during production. A balanced bass range, precise mids and crystal clear highs give an unaltered impression of your productions while at the same time avoiding unpleasant surprises when hearing the track later in the club. 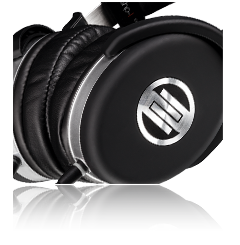 The high output guarantees distortion-free playback, thus meeting all demands when it comes to studio headphones. These studio headphones are designed especially for time-consuming sessions. 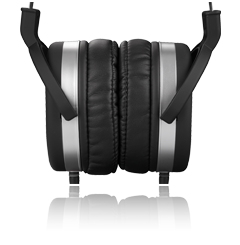 The extra large circumaural construction caters for maximum isolation, even at high ambient noise levels, and also guarantees the highest wearing comfort, thanks to the thick ear pads and spacious bracket padding. 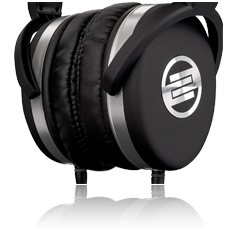 Due to its strong grip and great sound isolation, the SHP-1 is especially appropriate for recording sessions. With its timeless as well as intelligent design, the SHP-1 scores big time with its looks. The ear cups are embelished with a classy Reloop sign while separated and easily removable mini jacks create a perfect stereo experience. The essential mastering tool: Reloop SHP-1.